In countries other than North America, A4 paper has historically been considered the international standard for letter size, as referenced in ISO 216, in which the International Organization for Standardization specifies all paper dimensions used globally. 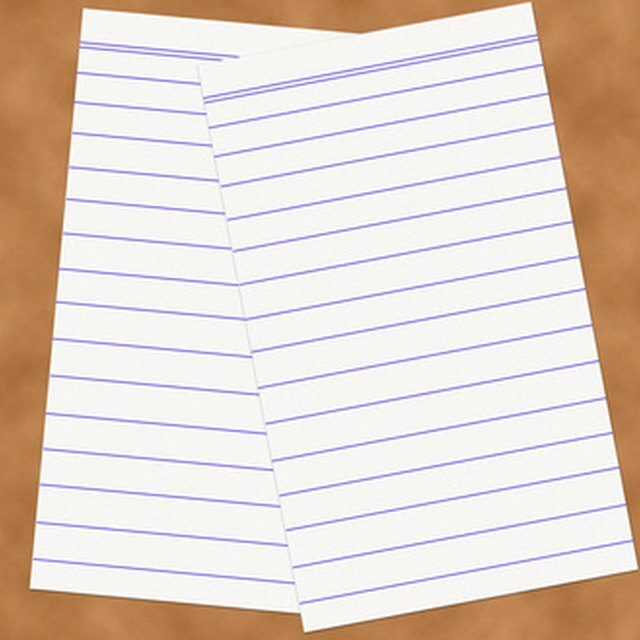 A4 paper measures 8.27 inches wide by 11.69 inches in height, or 210 by 297 millimeters. Printers commonly measure A4 paper as 8.3 by 11.7 inches. A4 is used for letters. Folded, A4 is used for brochures. Because it is the international standard, A4 is commonly used in marketing and advertising communications and documents. In word-processing programs, formatting to A4 size is done in "Page Setup" under the File menu. For brochures, additional formatting is needed. What is a Copier Developer? What Is the Difference Between A4, A3 & A5 Paper? Desktop printers typically use 8.5 by 11 inch paper, but automatically recognize and make formatting adjustments to A4. Commercial printers should be notified of A4 page layout, as they may need to make adjustments to trim before printing. A4 envelopes are readily available and fit a folded A4 letter or document. Because A4 is widely used in advertising and marketing, various styles such as clear, transparent and textured A4 envelopes are available. Additional postage charges may be applied. Jamie Witt began her writing career in 2005 by assisting in the launch of a daily newspaper. Previous roles in newspaper have included reporter, photographer, copy editor and assistant managing editor. She moved into advertising with an emphasis on public relations, copy writing and copy editing. Witt studied Journalism and English at Indiana University.